(Regnum)–Azerbaijan’s increasingly aggressive war rhetoric is not helping the Karabagh conflict settlement process–said Yuri Merzlyakov–the Russian Co-chair of the Organization for Security and Cooperation in Europe (OSCE) Minsk Group. "Military solution of Nagorno Karabagh problem will be a catastrophe," said Merzlyakov–adding that all interested parties have to make every effort to prevent the conflict’s transition to the military stage. 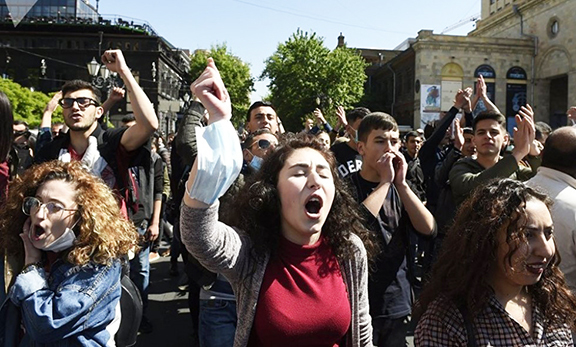 "Pressure from the Azerbaijani side will not bring positive consequences," stressed Merzlyakov. He said it is necessary to strive for peace–as the possibilities of reaching a peaceful settlement have not yet been exhausted. Merzlyakov said that there is still time to settle the Karabagh conflict before the end of the year 2006. Merzlyakov also said that the mediators will arrange for another meeting between the foreign ministers of Azerbaijan and Armenia. "The fact is that the schedules do not coincide–and it is difficult for us to agree on a certain place and date of the meeting. On April 7–the Armenian Foreign Minister will be in Moscow while Azerbaijani Minister will be visiting Washington," said Merzlyakov–adding that the planned visit of OSCE Minsk Group to region will take place in May–after which they will discuss a meeting of the ministers.